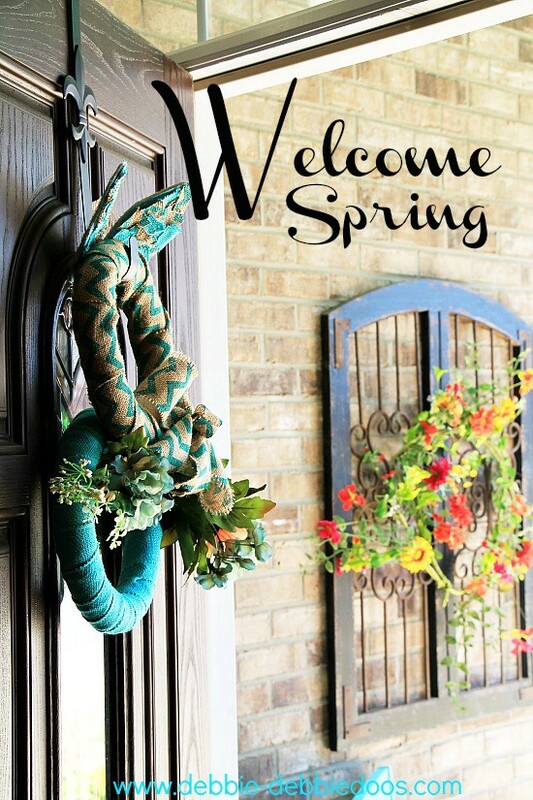 Ahh Spring is in the air for sure around here. FINALLY! 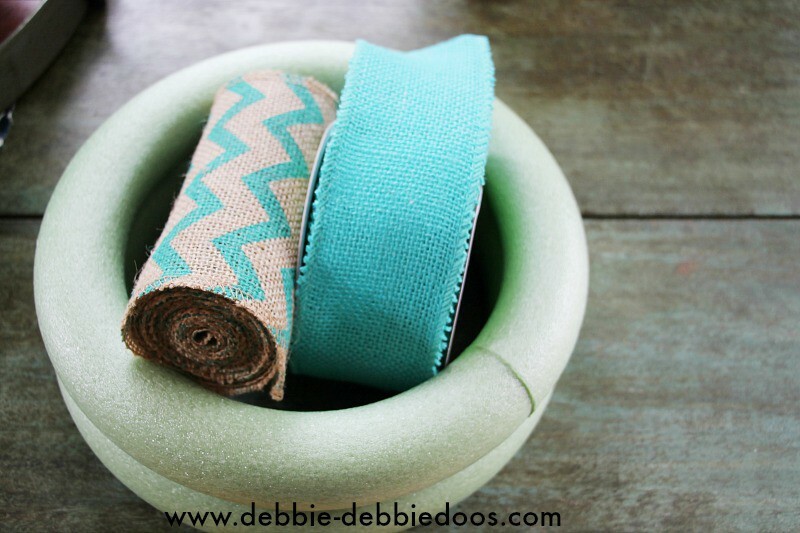 Today, I am sharing how to make a burlap bunny wreath. In just a few days our 3 Cherry blossom trees will be in full bloom. They are so gorgeous in bloom. If only they lasted longer. Today I was in the mood to craft. 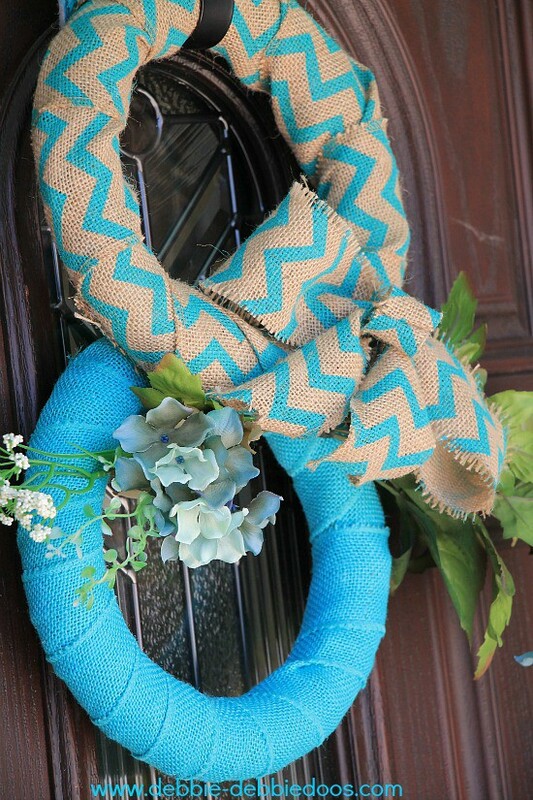 So I whipped up a bunny burlap wreath. I’ll be honest. I really did not know that is what I was going to wind up with. But it made sense when all was said and done. Dollar tree mini foam wreaths and some burlap rolls I picked up from Walmart. First I wrapped the burlap around the foam wreaths like so. Then I took the floral tape I also found at the dollar tree, the same tape I used for my Dollar tree mini wreaths in the kitchen. I wrapped the two mini wreaths together, and then added some florals that I wrapped with the tape. I made my first burlap bow. Usually I stink at making bows but I was pretty adamant on learning how to make my own so I figured it out. I will share the how to in the future. It was much easier than I ever imagined. The bunny ears I simply used a bunny head band I found at the dollar tree. I dismantled the ears off the head band and then I cut burlap scraps and glued them on randomly then I added a coat of mod podge on top so they would be a bit stiffer. 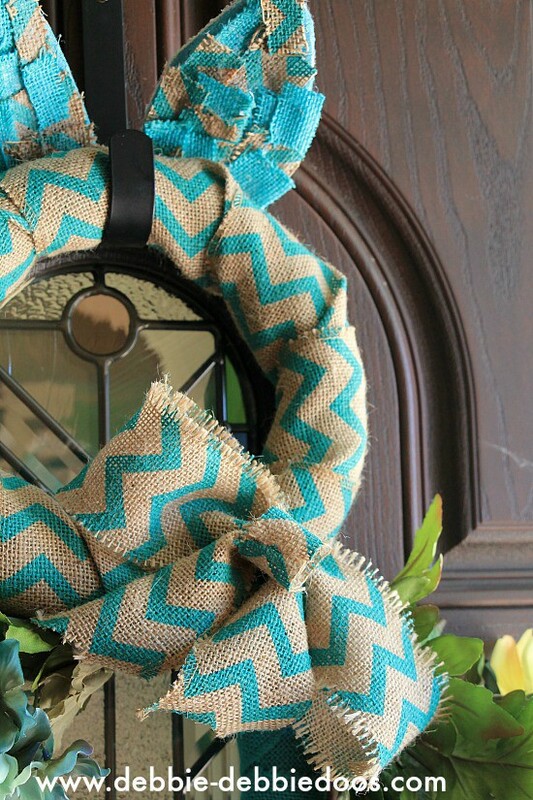 and then you put it all together and you have yourself a bunny burlap wreath. 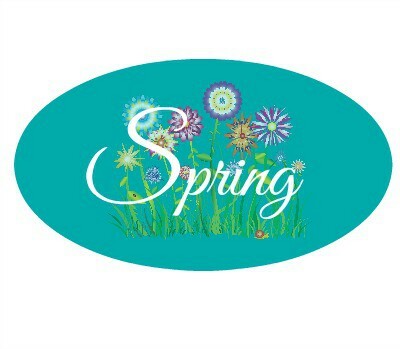 You can check out my All things Spring archives while you are here. and if you like Dollar tree decor and crafts, check that out while you are here. It’s bunny perfect, Debbie 🙂 How darn cute! Hi Debbie Dear! Oh, how cute! 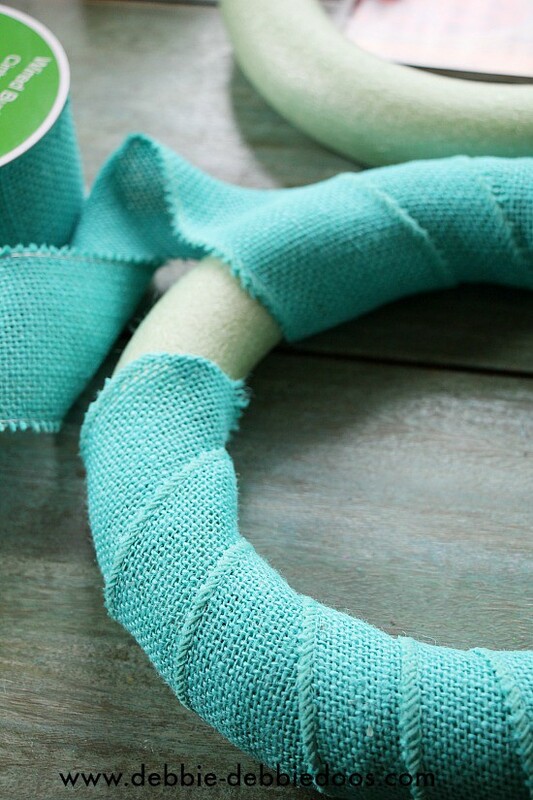 I’ve never seen printed burlap and can’t imagine anything cuter made with it than your cute bunny wreath! You’re so good at making pretty! Hope you’re doing well. Oh what a cutie you have here! Luv the colors. So adorable, I love those colors too! Your just so creative! 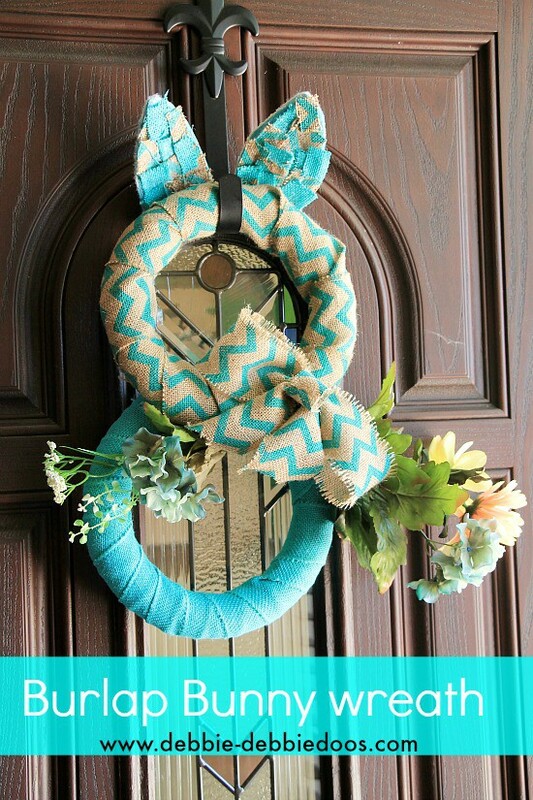 This bunny wreath is too crazy cute!!! !….your over active creative mind is at it again with another amazing creation!! !….Love it!! This is so cute! I do love the color combination. Everything with burlap just looks so good! 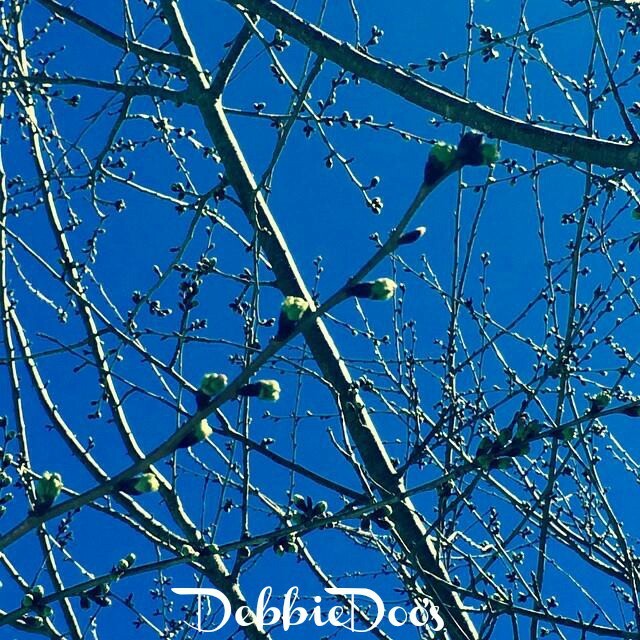 That is really cute Debbie. 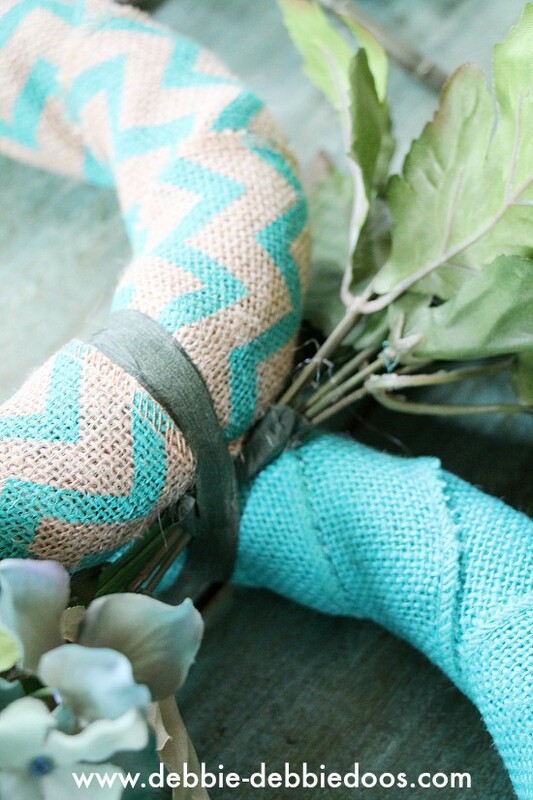 Love the burlap and colors. Smart idea on making the ears. That’s great, glad to inspire.